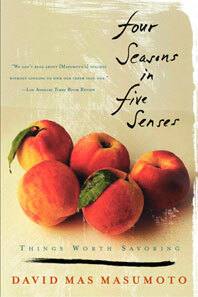 The nation's favorite literary farmer pays homage to the life of the senses. Rushing from one thing to another, we lose sight of the art of living, which for California farmer David Mas Masumoto is also the art of farming. Not fast farming, of the kind that produces fast food, but slow farming, the kind that notices each change of light and temperature and produces peaches with juice that runs down your chin. On the farm, appreciating the fruits of one's own labor requires all the senses: smell that knows when a peach is ready to be picked; sight that observes the health of a season's crop; touch that measures the weight of a fruit; hearing that recognizes each voice that calls out across the fields; and taste that savors the refreshing tang of a fruit at that perfect moment of ripeness. Taking us into his fields to witness the cycle of the harvest, Masumoto reminds us that we must stop living on the run in order to savor the world around us.